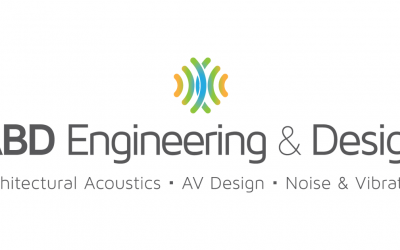 ABD Engineering and Design is a leading audiovisual consulting firm, working with architects, engineers, facility directors, CTOs, IT groups, and user groups to design custom audiovisual systems for healthcare, higher education, corporate, and other venues. With the convergence of AV and IT technologies, we offer AV Technology Master Planning, AV Infrastructure Planning and Design, AV Systems Design, and other communications technologies for diverse applications across your enterprise or organization. From healthcare and corporate meeting spaces, conference centers, classrooms, and lecture halls to worship, entertainment, and performing arts venues, we design AV system solutions to optimize communications, collaboration, presentations, and performances. Long-term AV technology planning with a clear, concise strategy, creative solutions and a roadmap providing ongoing continuity to guide the management process for current and future AV technology needs. Long-term AV infrastructure planning and design strategy to plan, design, and build in features into infrastructure now, to facilitate future system expansions and upgrades. Comprehensive, unified audiovisual systems design providing end-to-end systems design, technology, and software recommendations. Independent, third-party AV systems commissioning services to be sure systems perform and operate as designed and specified. Expert, independent, end-to-end project management from planning and design to construction, installation, and commissioning of audiovisual systems. Complete workplace audiovisual solutions including workspaces, conference rooms, meeting rooms, and gathering spaces to optimize communications, collaboration, and productivity. Fully integrated audiovisual systems, control systems, and room automation solutions for conference rooms, boardrooms, and other meeting spaces. Sophisticated modeling to predict acoustical performance of systems in architectural environments where sound reproduction, sound clarity, and speech intelligibility are critical. Digital signage and wayfinding design solutions providing flexible messaging and interactive communications for healthcare, higher education, corporate, and other venues with large, complex, or distributed facilities, campuses, and networks.